Record from and manage up to sixteen cameras with the D16HU 16-Channel 4K UHD HD-TVI Hybrid DVR with 3TB HDD from Speco Technologies at resolutions up to 3840 x 2160. Preinstalled with 3TB of HDD storage, the recorder can be expanded to host a maximum HDD capacity of 40TB. An eSATA port is available for additional storage. H.264 video compression keeps file size manageable while maintaining the best quality possible. 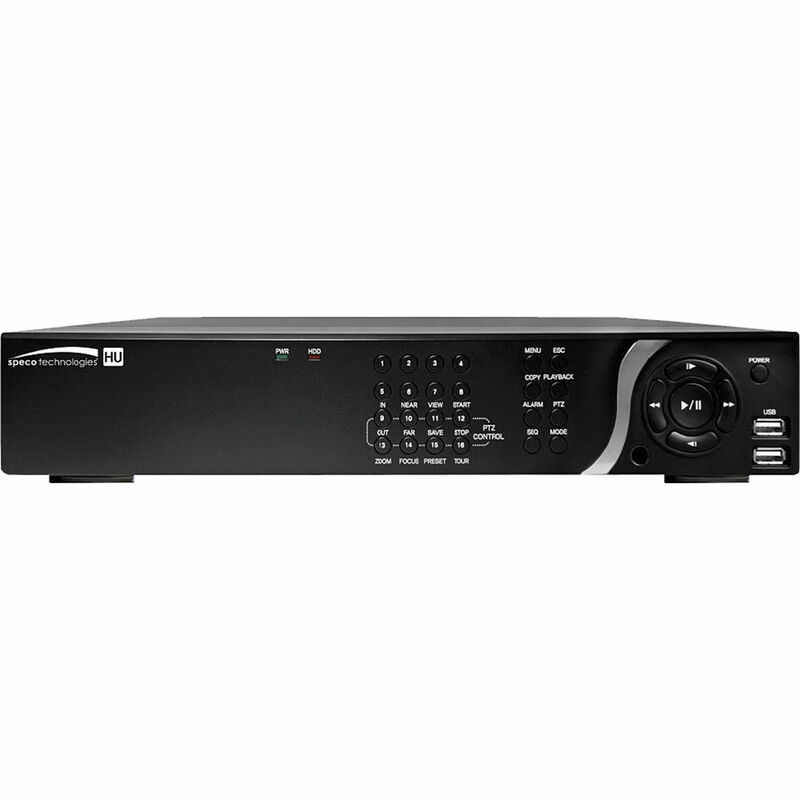 The recorder supports HD-TVI and IP cameras. Two-way audio is supported. An HDMI connection provides up to 4K UHD resolution video output. An IR remote control and mouse are included with the recorder.